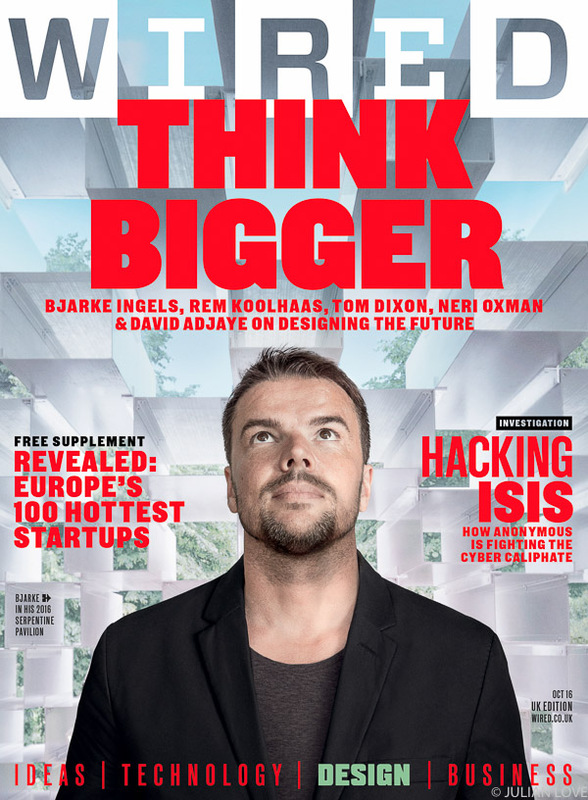 Back in June I was photographing Danish superstar architect Bjarke Ingels for Wired inside the summer pavilion he had designed for the Serpentine Gallery. As the gallery was not quite finished we ended up only having 5 minutes together, but Bjarke was a total pro and we landed the cover of the October 2016 issue, on sale now. Big thanks to Steve Peck for the commission. Wow! I thought this was a great cover when I saw it but had no idea it was you! Congrats and well done!